It’s becoming harder to source skate in Britain due to it’s sustainability. If you can’t get hold of skate for this dish or would prefer to use something that is more sustainable then any type of white fish will work just as well. 5. 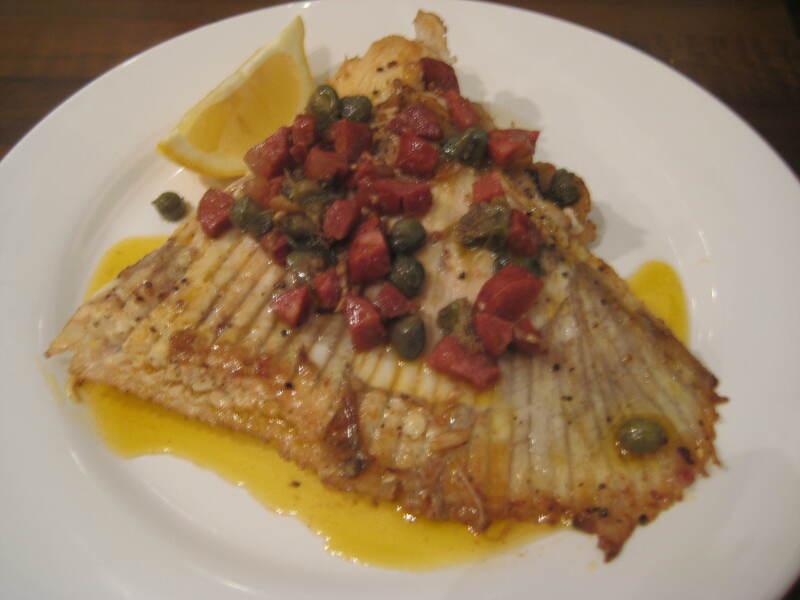 Lift the skate onto your serving plates and pour some of the chorizo flavoured oil, chorizo and capers over the top of the skate. Squeeze over a wedge of lemon and serve with a large wedge on the side. Great served with hot new potatoes, a fresh salad and some garlic aoili. A nice, quick and healthy meal that can be made in 20 minutes. Great to eat on a Tuesday night in-front of Eastenders! 2. 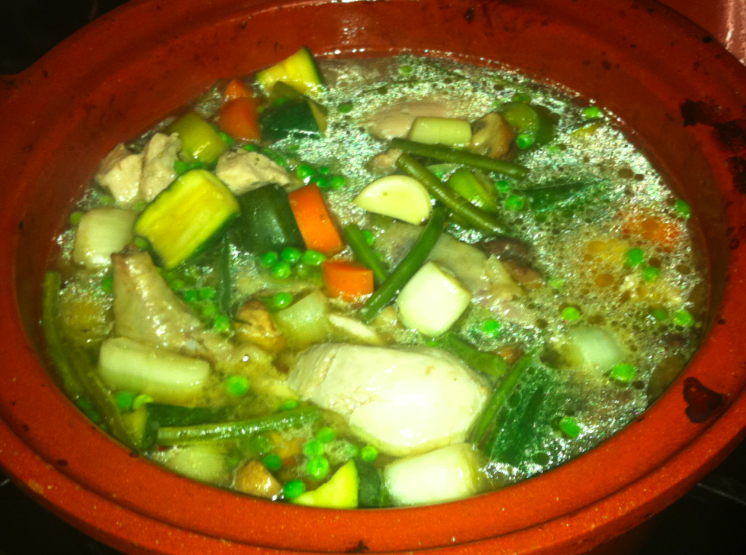 Heat the saucepan and add in the olive oil, seasoning and mint. Add the pasta, peas and beans and give a good stir. Add in your salmon chunks and cook for a couple of minutes. 3. 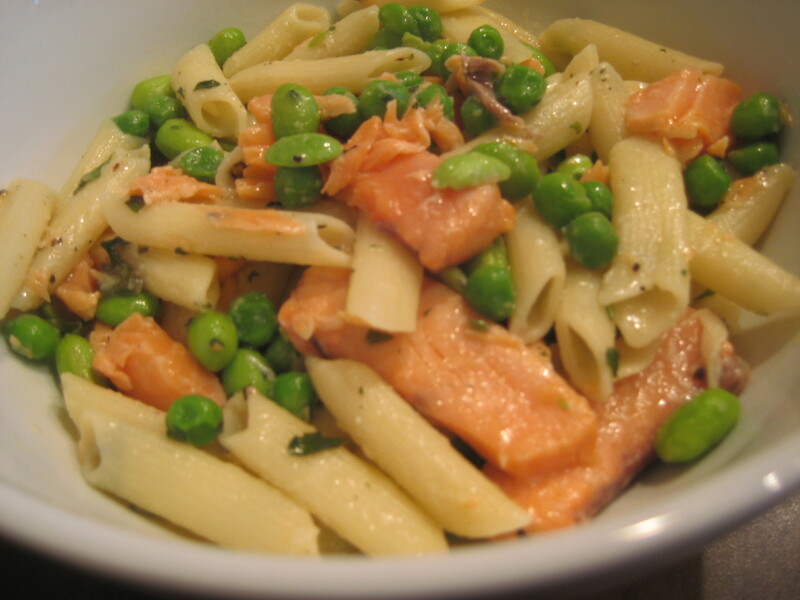 Place your some of your grated parmesan to the bottom of your bowl, and pour in your salmon and pasta, then top with the rest of the parmesan and a squeeze of lemon.